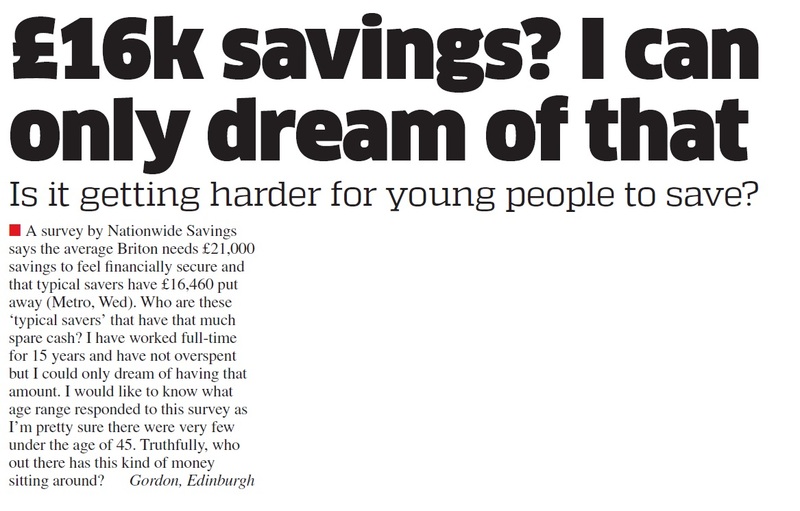 How much money would you need to save for you to feel financially secure? 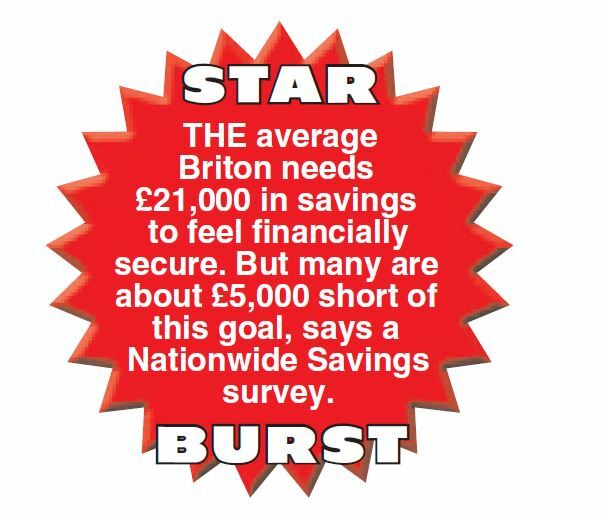 Our survey for Nationwide Savings revealed that for most people it’s a hefty £21,000. 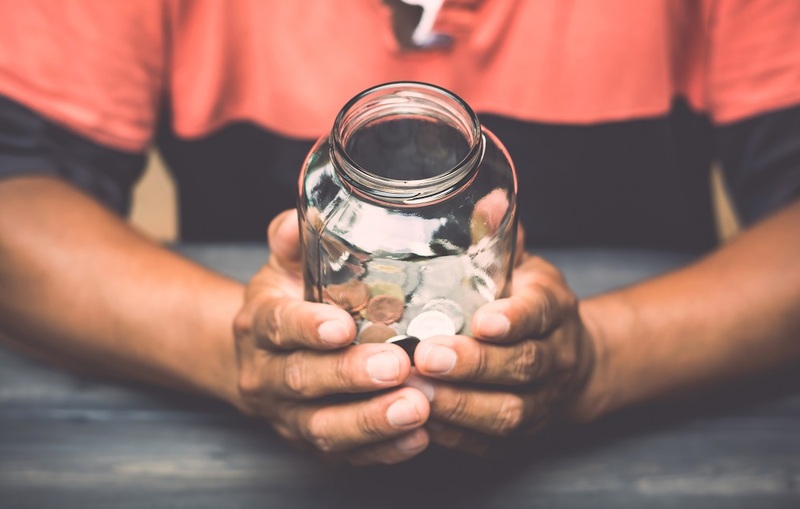 However, the survey of 2,000 UK adults found that, in reality, most people fall short of this by approximately five grand, with most only having saved £16,460. 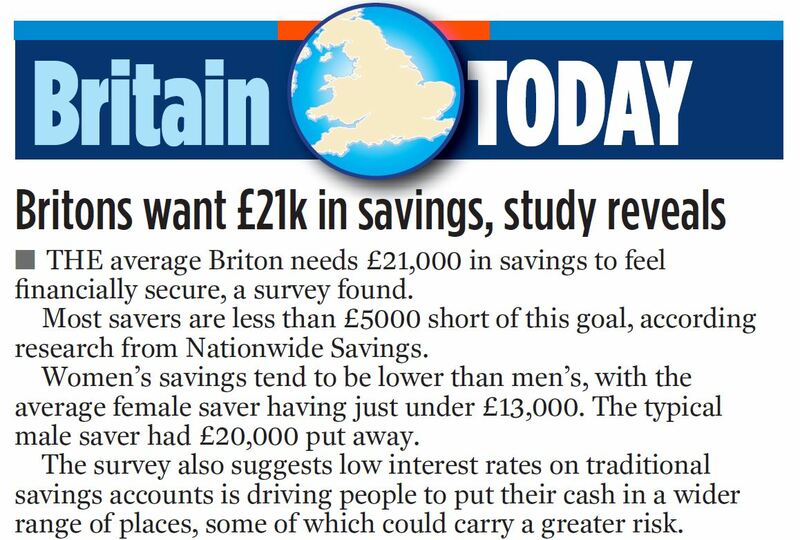 It was revealed that women had fewer savings than men, saving around £13,000 compared to men’s £20,000. 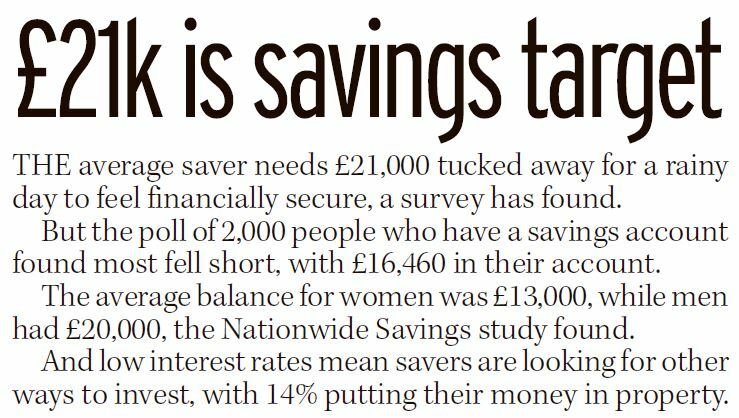 It is probably not surprising, therefore, that women were more likely more likely to feel anxious about their savings. Low-interest rates may be one explanation for a lack of savings. 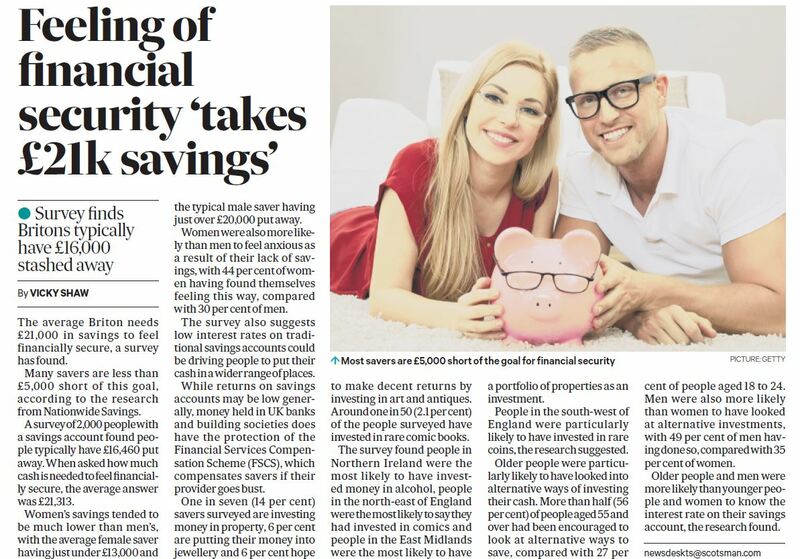 The survey indicated that many people are taking to investing their money as a riskier alternative to savings accounts. 14% invest their money in property, 6% invest in jewellery and 6% in art and antiques. 2.1% even stated that they invest their money in rare comic books. In fact, the North East were more likely to invest in rare comic books than anything else. Northern Ireland, it was revealed, tend to invest in alcohol, and the East Midlands, the most conventional, invest mainly in property. The survey also highlighted a difference in the way different age groups invested. 56% of people aged over 55 said they were more likely to look at alternative ways to save money, compared to 27% of 18-24-year-olds. Older people were also more likely to know the interest rate of their savings account. The findings of the survey achieved extensive media coverage. Whilst the story made the Mirror Online, AOL Money, and The Belfast Telegraph, it was in print that the story saw the most coverage, landing in The Daily Mirror, The Daily Star, The Metro and I, as well as many Scottish publications. You can see the print coverage in the scroller below.